Iran was the first country to provide Iraq’s embattled autonomous Kurdish region with weapons to fight off jihadist-led militants, president Masoud Barazani said on Tuesday. “The Islamic Republic of Iran was the first state to help us … and it provided us with weapons and equipment,” Barazani said at a joint news conference with Iranian Foreign Minister Mohammad Javad Zarif. 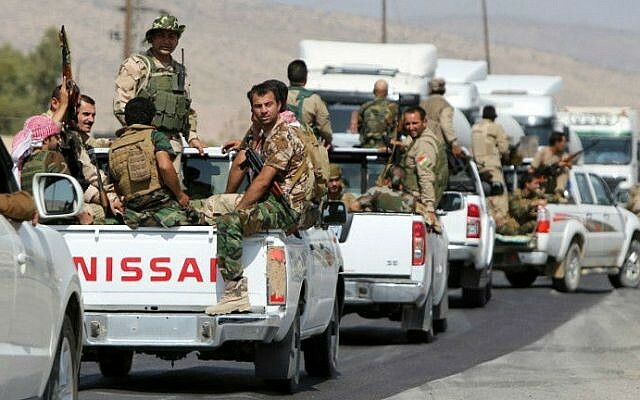 Militants led by the Islamic State (IS) jihadist group launched a major offensive in June that overran large areas of Iraq, and began a renewed push earlier this month that saw Kurdish forces pushed back towards their regional capital of Irbil. 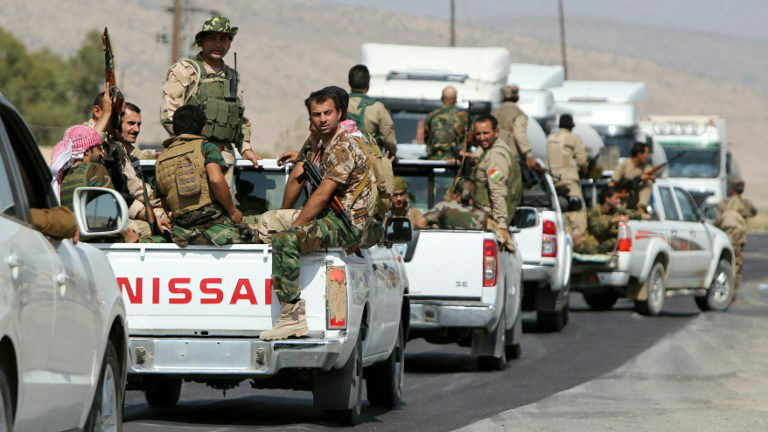 The Kurdish setbacks sparked a campaign of US air strikes in northern Iraq and an international effort to provide them with arms and ammunition, and they have since managed to claw back some territory from the militants. Iran has a direct interest in bolstering Kurdish forces, as a large section of its border with Iraq is made up of Kurdish-controlled areas. Zarif, who arrived in Iraq on Sunday, reiterated his assertion that while Iran is supporting its neighbor to the west, it is not doing so with forces on the ground. “The Iraqi people require assistance, including defense assistance, but not soldiers … We do not have any soldiers in Iraq, we don’t intend to send soldiers to Iraq,” Zarif said. There have been reports of Iranian forces fighting in Iraq, and despite Zarif’s denial, evidence points to a more direct military role by Tehran. State media reported that an Iranian pilot was killed fighting in Iraq, and several Iranian Su-25 warplanes are also in the country.